Bottomless Scandinavian Brunch? Skål to that at KuPP! 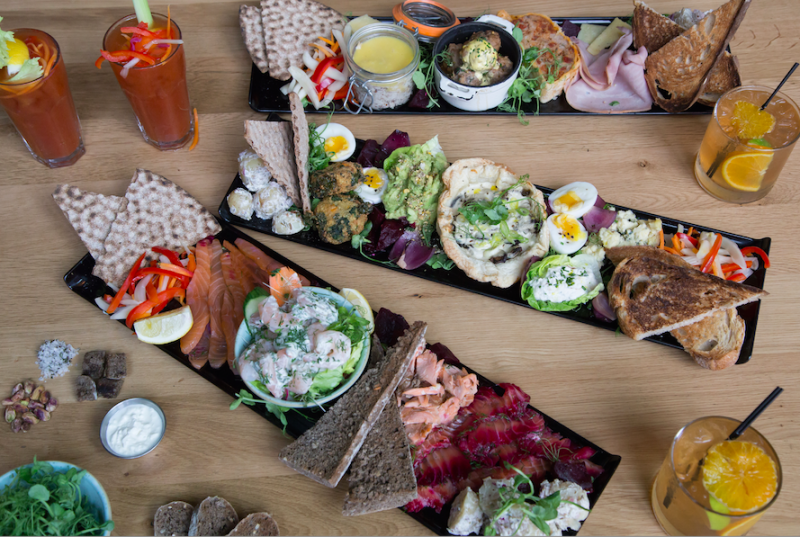 Ever experienced Scandinavian brunch?! If you’re looking for a healthy weekend brunch alternative to really set you up for the week ahead, then KuPP is the place! Scandinavian food to share, with a British twist, is what this ultra modern restaurant offers up every day of the week, but come the weekend, you can sit in their glass house right on the Paddington Basin with fabulous views out across the water and enjoy a Bloody Mary or three, just a stones throw from Edgeware Road. In the summer, this is definitely the place to be with paddle boarders on the canal and floor-to-ceiling windows which open up for a truly apres dining vibe. But in winter, it’s just as cool, but rather, cosy, with a good brunch deal at £30 for unlimited smörgasboards and cocktails (Bloody Mary or Scandi Collins) or Czech Pilsner Krušovice served straight from giant silver tanks. If you’re a big bruncher and fan of through the day drinking, you’ll know the list from your usual hangout inside out. Well, we dare you to forgo your Eggs Benedict and try something completely different with four loaded boards filled with everything you can think of. On the brand new KuPP Veggie Bord, you’ll be treated to Danish blue cheese, roast beetroot and smoked red onions, cheeses, tarts and oven baked quinoa. On the Fiske Bord, big juicy Altantic prawns and fresh home smoked trout along with delicious cold smoked salmon and Norwegian cured beetroot gravadlax. For meat lovers, the Smokin’ Roast Bord (definitely my favourite) was a Scandinavian twist on a traditional British roast dinner complete with more-ish slices of smoked fore rib of beef, roasted new potatoes, butternut squash and absolute sensational chive buttered smoked onion. A small jug on the side filled with rich red wine gravy was the icing on the cake! Or if the roast doesn’t quite take your fancy, don’t worry, the signature KuPP Bord will definitely not disappoint. With house smoked meatballs, chorizo sausage roll, hams, potato salad and full-of-flavour potted rabbit, this giant feast will have you going back for more until the bords are bare! 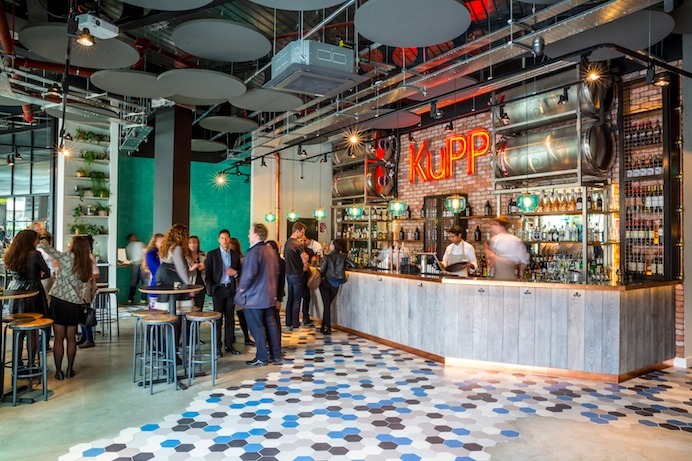 KuPP itself is a really stylish venue, all exposed brickwork, modern art and clean lines, wooden furniture, brightly colored chairs at the tables and long picnic style benches which are perfect for families. Children eating with an adult go free too, with a dedicated kids menu. There’s also a gorgeous little cafe to the right as you walk in, selling all kinds of pastries and coffees for both sit in and take out. I have a feeling, we’re going to gracing those bords quite a lot over the next few months… Bring on the Scandinavian summer! Quaglino’s Launches the Q-Aperitivo Summer Edition – Cocktails, Tapas and Live Music!